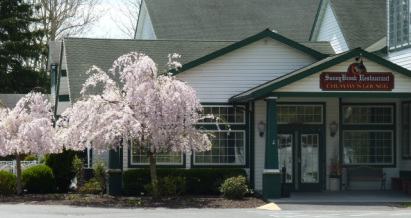 SunnyBrook is a 501(c)(3) non-profit organization located in Pottstown. All proceeds go toward this historical building. The building includes a restaurant, bar and lounge, and a ballroom that is the biggest of its kind east of the Mississippi. In the ballroom, we have concerts of all kinds, adult dances, Zumba, weddings, expos, tradeshows, corporate functions, etc. We have a pavilion outdoors that is perfect for reunions, birthday parties, and also weddings. Please consider using our venue for your next function! Check our website for all the events happening at SunnyBrook!